Party season is upon us. Oh, let me count the ways. and the list just goes on and on. Plus there are always birthday parties. And before we know it, we’ll be back around to spring and summer. Always a need for snacky food. In my experience though, dips and snack foods that end up at parties are not the healthiest of fare. Very little in the realm of plant-based yummies, am I right? 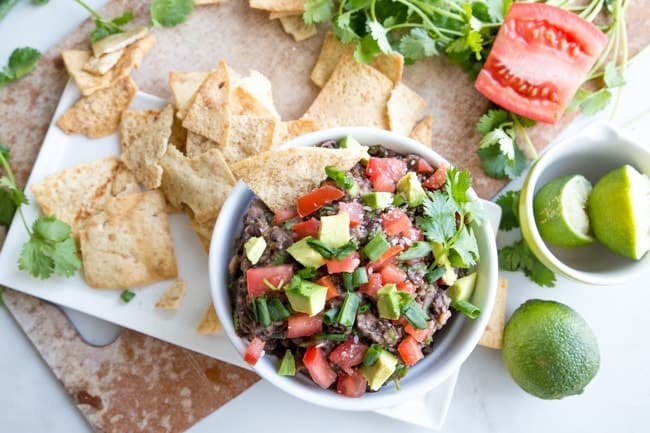 But I have to say, I have a major tooth for salty chips and dips, and I was on a hunt for a delicious, yet healthy, bean dip that I could bring to parties all year long. 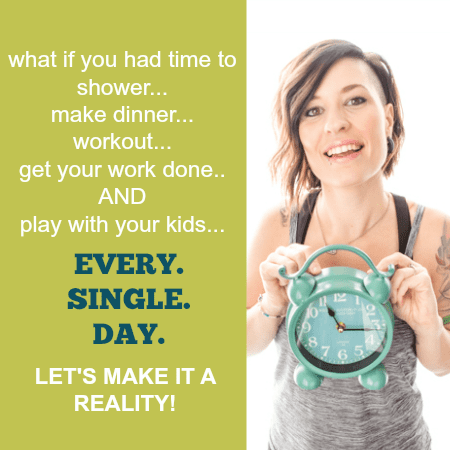 Not just to help my friends and family get on the health-train, but because I’m a bit selfish and really just want to be able to indulge without feeling like I’ve totally overdone it. The best part about this dip (besides the fact that it is totally nom-worthy by health-nuts and not-health-nuts alike)? It came together in 5 minutes in just one bowl. Or you can go one step further, throw it all in your food processor, and pulse it until it gets to the texture you like. 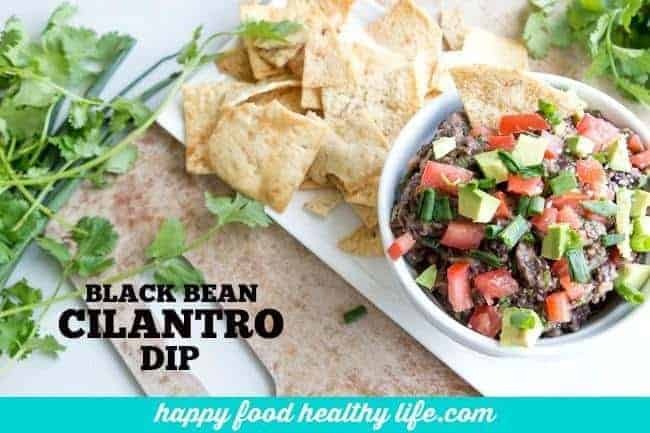 I personally like a chunkier bean dip, but you could absolutely turn it into more of a hummus. 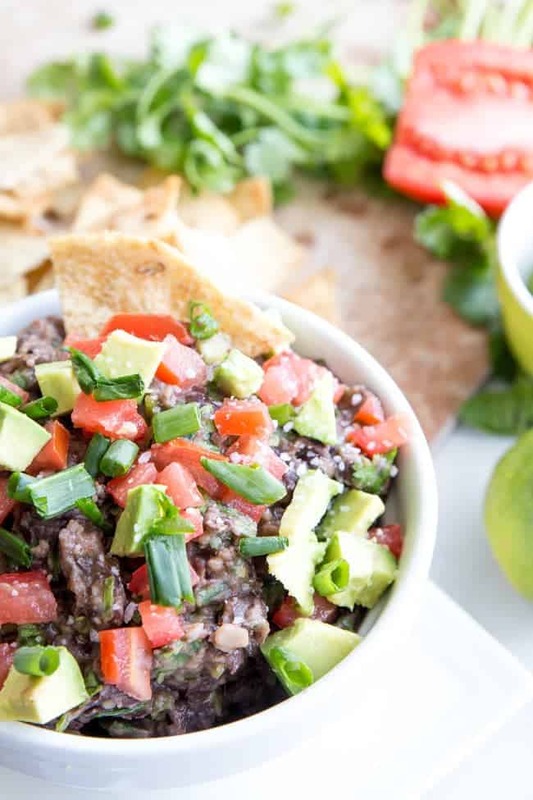 Black bean hummus – sounds fancy, right? Yet, it’s totally not. You’ll just impress your friends. But let me suggest, if your friends and family are still scared of the health movement, don’t call it a hummus. 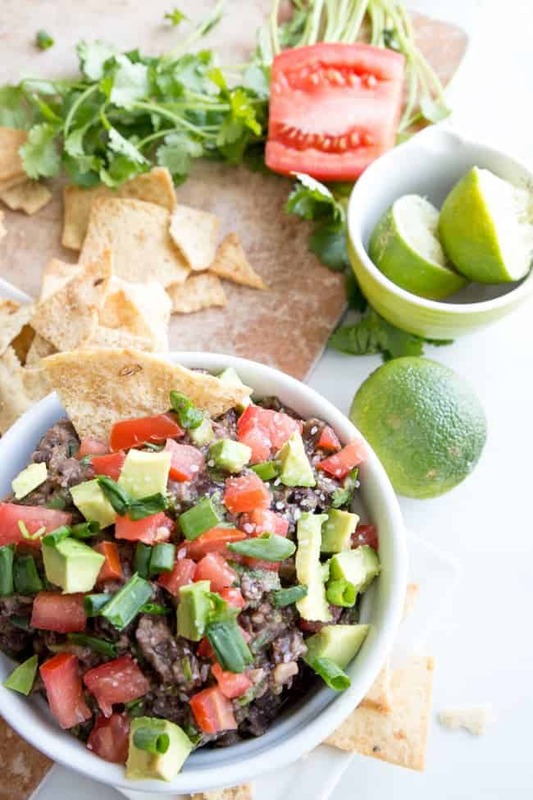 Just go with a zesty bean dip and call it good. Even the dudes in your life will go for it. 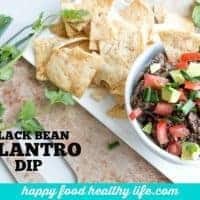 All while you’re snickering away because you know just how healthy this glorious bean dip really is (even if it’s totally ugly)! 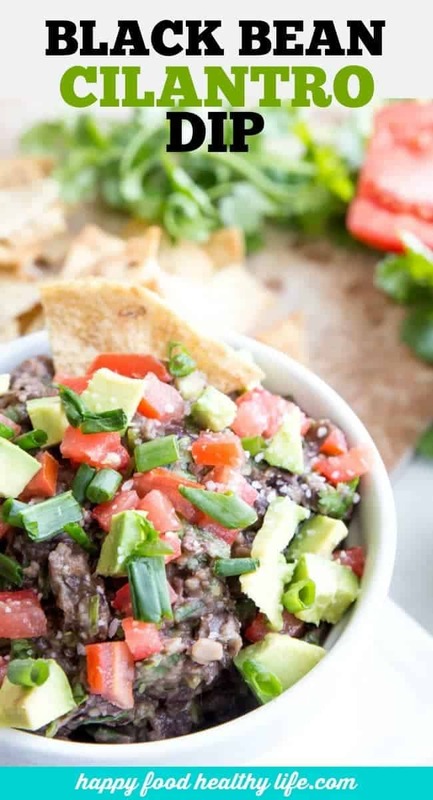 Let’s get dippy – this black bean dip comes together in 5 minutes flat! Put everything besides garnishes into a large mixing bowl. 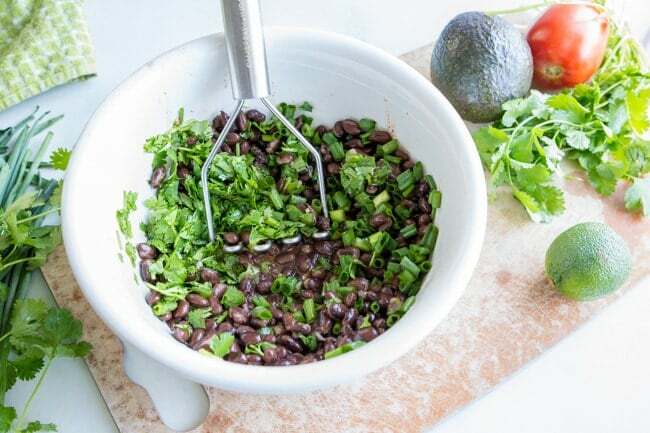 Use potato masher, avocado masher, or back of a fork to mash the beans and combine with all other ingredients. Spoon into serving bowl, top with garnishes, and serve with tortilla chips, pita chips, or as a spread on a sandwich or wrap. You can also opt to put everything into a food processor and pulse it all together.